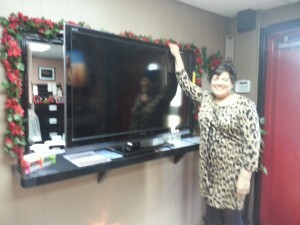 In 2009, Mr. Shah and I purchased a 52-inch Sony Bravia TV for over $2000 from Costco Wholesale (Model KDL52VL150). We opted for the Sony TV because we thought we were buying a high-quality brand that would last. Boy, were we wrong. Instead we got an education in warranties and customer loyalty. In 2013, the TV screen failed catastrophically. It turns out that Sony’s 2009 52-inch screens were defective and had a history of failure. In fact, Sony extended the 2-year warranties of some models of 52-inch TVs until March 2015. But they did not extend warranties of TV’s sold through Costco. We went through a 3-month “customer service” gauntlet with Sony by phone, twitter, and email. ABC-13’s consumer reporter Jeff Ehling even contacted Sony on our behalf to try to assist us (A clip from his TV story is below). Sony did a great job of appearing concerned on social media and in their interactions with ABC-13. In private, Sony USA customer service delayed, reflected, redirected and in the end refused to repair or replace our TV as they had for others. When we brought our struggles to the attention of Costco Wholesale, Costco replaced the defective TV within days. Costco is known for their customer service and lived up to their reputation. Thank you Costco for making it right. In our recent visits to Costco, we noticed that they didn’t have any Sony TVs for sale. Maybe we weren’t the only Costco customers that had trouble with our Sony TVs? Below are some lessons we learned through our Sony ordeal. The warranty is the manufacturer’s declaration of the expected lifetime of their product. TVs now come with a 1-year warranty…that means the TVs are expected to last about a 1 year. They may last longer…and that’s a gamble. TVs have become disposable items. Our TV service center says there isn’t much difference between brands. His advice is to choose a TV with the features you want and don’t pay more than you want to spend annually. It’s worth buying an extended warranty for a TV because it’s cheaper than buying a new TV. Based on the name, you would think that an extended warranty extends the warranty period, right? But that’s not how they usually work. Check the fine print. Most extended warranties begin at the time you purchase them. So this means, if you buy the extended warranty at the time you buy your TV, the extended warranty runs concurrently with the manufacturer’s warranty. It’s usually best to buy your extended warranty towards the end of the manufacturer’s warranty period so the warranties don’t overlap. Note: In our recent visits to Costco, we noticed that Costco automatically adds a second year of warranty to all TVs they sell. Also, their extended warranty really extends the warranties rather than running concurrently, so you can buy the extended warranty at the time you buy the TV.